This program is well suited for undergraduate students who have completed the first two years of a conservation science-based degree. It integrates classroom and field instruction with local guest speakers and numerous field activities. Much of the content builds on foundational ecological theories and observational science. Some social theories and concepts, particularly around linked social-ecological systems, are introduced later in the term. This introductory course of the Haida Gwaii Semester in Marine Conservation will be an in-depth study of Traditional Haida Culture from the ‘pre-contact’ era before 1774, to modern day 21st century Haida Culture. The focus of our learning will be on the relationship between the culture of the Haida people and their marine environment; and traditional and modern approaches to management of marine resources. This course exposes students to concepts of fisheries co-management with a focus on the North Pacific Coast; while also providing examples of other co-management structures regionally and internationally. This course also provides an overview of the historical context of co-management structures in the North Pacific Coast, and court decisions that have become landmarks in the recognition of Aboriginal rights in managing local resources. More specifically, through local guest speakers, this course offers a perspective of traditional fisheries and marine management by the Haida Nation within Haida territorial waters, as well as the local settler fishing community of Haida Gwaii, and representatives of the Province of British Columbia and the Government of Canada. This course is designed to cover two broad marine and coastal planning concepts: 1) a general overview of the key concepts in MSP to illustrate the variety of outcomes possible, and explore specific tools and techniques (addressing governance, ecological, cultural, social and economic aspects) and; 2) examine key elements inherent in MPA and MPA Network design, governance, implementation, implications (i.e., costs and benefits), management, compliance and monitoring. Building on course experiences throughout the semester, this class is designed to provide students exposure to field settings and different research techniques in local marine environments. Selected excursions will provide students with opportunities for first-hand experience of local culture, tradition and history, local and community-based fisheries, marine protected areas and outputs from marine spatial planning processes. This seminar course will introduce students to key marine conservation issues, pairing broad topics with examples on Haida Gwaii to bring theory into practice. 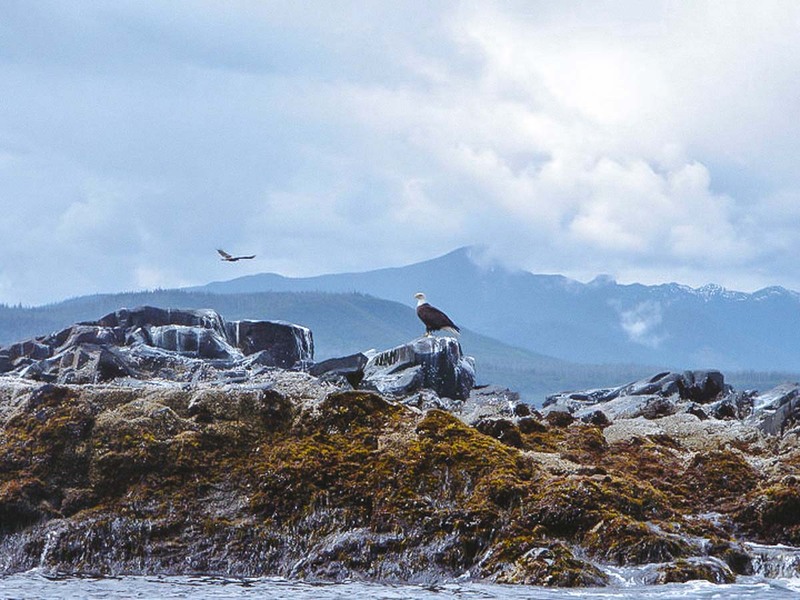 The coursework is designed for students to make connections between academic papers and local experience such that regional or global marine topics are made relevant at the Haida Gwaii scale. Course readings and class discussions will highlight the ecological, cultural, socio-economic and political components of marine conservation and management. In the classroom and on short field trips, students will interact with local decision-makers, stakeholders, scientists, and conservation professionals.